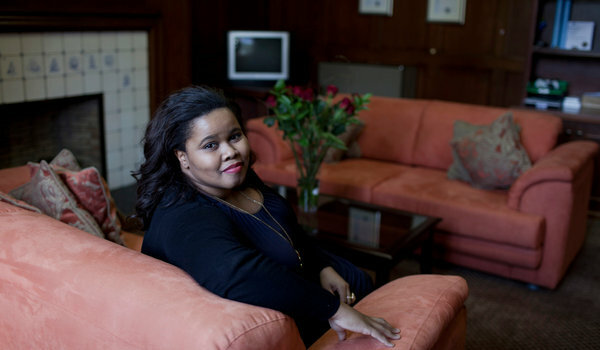 “I don’t believe being black is a prize people can award to you,” Lindiwe Mazibuko said. SHE has unmistakably African roots, from her birthplace (the kingdom of Swaziland) to one of her native tongues (isiZulu) to her mocha skin. But for many people, Lindiwe Mazibuko is just not black enough. During a parliamentary session this year, a government minister here called her a coconut (white on the inside, brown on the outside). One political opponent described Ms. Mazibuko as the tea girl, or servant, for the leader of the country’s chief opposition party. Twitter users have flung racial slurs at her, called her a token and said she was naïve. There is a profound ambivalence surrounding Ms. Mazibuko, 31 — and it represents the stiff challenge facing her party, the Democratic Alliance, in its effort to wrestle power from the dominant governing party, the African National Congress. Ms. Mazibuko became the first black leader of the alliance’s parliamentary caucus after an internal party vote in October. She is now the face of an effort to diversify the party’s leadership, shed its stereotype as the party of South Africa’s white elite and give it any hope of catching up to the A.N.C., which captured more than 65 percent of the vote to the alliance’s 16 percent during the last national election in 2009. Yet Ms. Mazibuko remains dogged by critics who say her private school education and refined British accent are signs that she is out of touch with most black South Africans. Critics have said that her party pushed Ms. Mazibuko into the second most powerful position, despite her inexperience, simply because she was black and might help broaden the alliance’s appeal. BUT what opponents view as Ms. Mazibuko’s weakness, her party, supported by about 5 percent of black South Africans, sees as potential. There is an untapped population of young black voters raised in middle-class environments like Ms. Mazibuko’s, voters who talk like her, were born after apartheid and will be able to vote for president for the first time in 2014. The Democratic Alliance’s hope is that those voters do not feel the same emotional attachment as their elders to the A.N.C., which liberated blacks from apartheid. Instead, the alliance hopes that young blacks will look to leaders like Ms. Mazibuko as someone who represents their interests. Ms. Zille, one of Ms. Mazibuko’s biggest supporters, said it was ridiculous to suggest that Ms. Mazibuko was elected only because she was black. Ms. Mazibuko has maintained a tough exterior amid the questions about her blackness, saying she has heard them since her childhood. Suggesting that all black people must be a certain way was an apartheid way of thinking, she said. During some of her radio appearances, she said, people called in demanding to hear her speak isiZulu. Ms. Mazibuko was born in the tiny kingdom of Swaziland, tucked between South Africa and Mozambique. Her father was a banker and small-business owner, and her mother was a nurse. When she was 6, her parents moved the family to apartheid-torn South Africa, believing that, despite the racism, the country would provide them with new opportunities. For six years, Ms. Mazibuko lived in Umlazi, a black township, but her family maintained her middle-class lifestyle. She attended a Jewish school because her parents could not get her into the Catholic school. Every June 16, on the anniversary of the Soweto uprising, a protest in 1976 against the education system under apartheid, her parents sneaked her past street demonstrations to get her to school, even going so far as hiding her in the trunk of their car, she said. After her father died, her mother moved the family to an affluent neighborhood in north Durban in 1992. Ms. Mazibuko went off to an Anglican boarding school. Her inner politician began surfacing after she moved to England to study classical singing. The Sept. 11 terrorist attacks happened, and she was disturbed by the way Muslims were negatively portrayed. It smacked of the racism that had defined South African politics, she said, and had the feel of the crusades. “It made me pause, and it made me think about things I could do in the future, I suppose, to shed a bit of light on that,” Ms. Mazibuko said. At the same time, she was looking at South Africa from afar and began to change her view of the role government should play in people’s lives. Whereas township life had led her to believe that government needed to pull people up, she said, she began to adopt the view that government empowers people to help themselves. She left her music studies to pursue political journalism. While working on a research paper on Ms. Zille for an honors degree, Ms. Mazibuko said, she found common ground with the party’s leader and its politics. Ms. Mazibuko parlayed the assignment into a job as a researcher for the Democratic Alliance. In 2009, she was appointed the party’s national spokeswoman and selected by it to serve in Parliament. When she speaks about her value to the party, Ms. Mazibuko mentions her age before her race, saying it gives her the ability to communicate in a different way from that of party veterans. When she ran for parliamentary leader, she hired a media strategist and ran a public campaign, the first time that had been done for one of the alliance’s internal elections. But in her Twitter messages, politics take a back seat to intimate life details, like what she is cooking for dinner or how she styles her hair. Copyright 2012 The New York Times Company. Reprinted from The New York Times, International, of Saturday, January 28, 2012.